BUNDABERG'S record floods will feature in a climate change documentary, 24 Hours of Reality: The Cost of Carbon which screens online today and tomorrow. Members of Al Gore's climate advocacy group The Climate Reality Project, visited Bundaberg last month during the flood forums to film footage for the documentary. 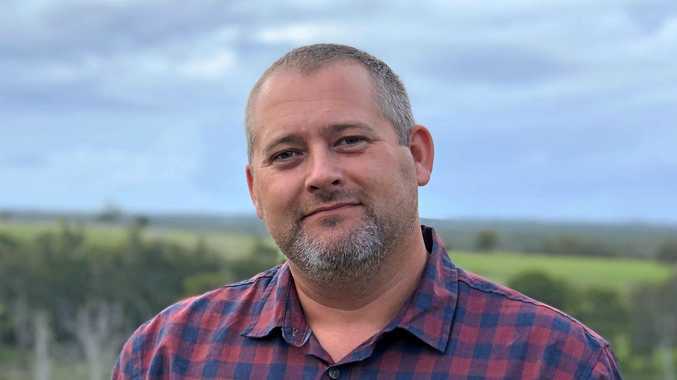 Australia is one of six continents featured in the project and Bundaberg will feature in the Australian segment which looks at how human health threats are exacerbated by climate change. To view the Australian section featuring the Bundaberg floods visit www.24hoursofreality.org at 6pm or midnight tonight or 6am and noon tomorrow. Before 24 Hours of Reality screens, we asked The Climate Reality Project CEO Maggie L. Fox what you need to know about climate change. Why was 24 Hours of Reality and The Climate Reality Project started and what does it hope to achieve? For years we have known that climate change is real, it's happening now, and we're causing it. We also know that carbon pollution from fossil fuel emissions is the culprit. After all, the overwhelming majority of the world's leading climate scientists agree on this fact and have consistently spoken out to policymakers about exactly what's happening and why we need to act soon. The Intergovernmental Panel on Climate Change (IPCC), which reflects the consensus of 800 experts and 195 governments around the world, just released a report stating scientists are 95% certain we're causing climate change. But the truth is, we don't even have to look at scientific reports to see the truth about climate change. We can just look out our windows or turn on the television to see the many ways that climate change has become a daily reality for all of us, from the Angry Summer you just experienced in Australia to the biblical rains and flooding we've just had in my hometown of Boulder, Colorado. And despite the fact these dirty weather events are happening more and more frequently and at greater and greater cost to our lives and livelihoods, many world leaders haven't taken the steps necessary to confront the problem. And even when they have, as in Australia, citizens have to keep standing up to ensure political developments don't undermine the important progress that's been made. Back in 2006, former U.S. Vice President Al Gore saw that despite the overwhelming scientific consensus on climate change, the international community lacked the resolve to implement real solutions. In response, he started The Climate Reality Project to launch and power a social revolution for climate action. We tell the story of climate change to people around the world and how it affects all of us directly now in our daily lives. Because when people understand what's really at stake and that this isn't just some problem for the future in far-off countries, they speak up and they start demanding real action from their leaders. The effects of climate change are as much a part of our daily reality as the price of milk, and so we use contemporary culture to connect the dots between dirty weather events and the costs we're all already paying for carbon pollution. Of course, it's one thing to know man-made climate change is a reality. The question that remains, though, is what can we do to solve it? We knew that we could only address a problem that affects the entire world when the entire world comes together to work on a solution. And to solve a problem, first you have to talk about it. The idea for 24 Hours of Reality came from a desire to create a major event that would truly bring the world together and tell the many stories of what climate change means for communities from Alaska to Zimbabwe. Our goal was to share these stories with the world and use the incredible media presence and visibility of an online broadcast format to get millions talking about this problem and working together on solutions. This year's 24 Hours of Reality: The Cost of Carbon is the third-annual event in this series and was designed to be the world's largest conversation about the cost of carbon pollution. This year's theme, The Cost of Carbon, explores the reality that we are all paying the price for carbon pollution today in the form of tax dollars diverted for disaster relief, lost land and produce from droughts, and the intangible costs of lives displaced by flooding and wildfires. By exploring these costs we hope to galvanize all of our leaders to shake off climate denial and do what Australia has done in putting a price on carbon. What are the most concerning things you have seen around the world since working on this project? It's a two-part answer. In the field we're seeing how climate change transforms lives in places like Bundaberg, which was hit by horrific flooding. There's the immediate devastation of the event itself, but then the most concerning aspect is seeing how people are left trying to rebuild their lives and live with this new reality long after the news cameras have gone and the rest of the world moves on. We see this over and over again with extreme weather events, and it's a reality we're facing now in Colorado after being hit with record rains and flooding just last month. The second deeply concerning part is that our world leaders are seeing these devastating weather events happen more and more frequently, and they're seeing the immense economic and social costs mount, but they still aren't willing to take the action necessary. How will Bundaberg feature it this year's project and what do you think is the most significant thing about the Bundaberg floods from a climate change point of view? This year, Sarah Backhouse will host an hour dedicated to the Australian continent, during that time we'll share mini-documentaries on how climate change has impacted Australia - from severe wildfires in New South Wales to this summer's record-setting heat and, of course, the deadly floods in Queensland and along the Gold Coast. As part of our video coverage, we'll speak to local residents who experienced these dirty weather events firsthand. Bundaberg is an essential part of this story. 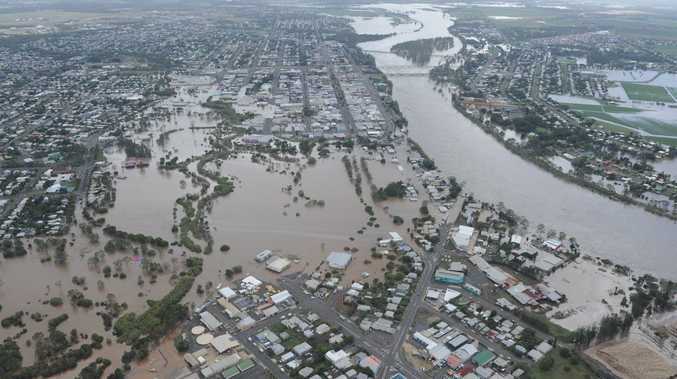 Although we can't say unequivocally that climate change alone caused the floods, what happened in Bundaberg is happening over and over all around the world where an extreme weather event strikes and shatters all kinds of records. Unfortunately, these 1-in-100 and even 1-in-1000 events keep happening. What climate change does is to, in effect, load the dice for our natural systems so these kinds of events become more likely, frequent, and intense. What is the most important thing you think the world needs to know about climate change? The most important thing people should know is that we can still stop climate change before the worst impacts hit. Solutions are out there and stopping climate change starts with a price on carbon pollution. The situation is far from hopeless - Australia has certainly proven that where there is political will, we can put a price on carbon pollution. The rest of our world leaders need to act to put these solutions into place now, while we can still avoid the worst. Why do you think some sections of the community won't accept climate change? I think some people won't accept climate change because they don't know how it affects them directly and so they don't worry about it. Once you understand what climate change means for you - particularly if you've experienced one of its severe impacts firsthand - it becomes pretty hard to deny. Just ask the firefighters out in the American West or people who were living on Staten Island when Superstorm Sandy came through. With others, it's a conscious choice. After all, if 97% of doctors told these same people that their son or daughter needed to have an operation to live, they listen to the experts and get the operation. But when 97% of climate scientists are telling them man-made climate change is a reality, they ignore the experts and seize on some myth to explain their beliefs. That's a choice. And the fossil fuel industry and climate deniers perpetuate this process by publicly repeating things they know aren't true and have been disproven countless times to confuse people and protect their bottom line. What is the most important piece of information you hope to convey with 24 Hours of Reality and The Climate Reality Project? Carbon pollution is costing us right now - in tax dollars for disaster relief, in rising food prices, in lost livelihoods and ways of life. We need our leaders to step up, confront denial head on, and put a price on carbon pollution. We can still solve climate change before we cross the point of no return. And we have to - what's at stake here is everything.